HMRC has suffered another high-profile IR35 defeat after broadcaster Lorraine Kelly successfully appealed a £1.2m tax bill at a tribunal. The tax authority had claimed that the host of the popular weekday morning Lorraine show was effectively an ITV employee and so was liable to pay income tax and National Insurance contributions. But tribunal judge Jennifer Dean ruled that ITV’s “level of control” over Kelly was not sufficient to be ‘inside IR35’. Instead, factors in the case indicated that the contract was “for services and not that of employer and employee”. The tribunal found that Kelly did not receive employee benefits like holiday or sick pay and that the “self-employed star” was permitted to carry out other work. The tribunal case centred on a contract signed by Kelly through a limited company in 2012 to present Lorraine and her former show Daybreak. Four year’s later, the Glasgow-born presenter received a tax bill for nearly £900,000 in income tax and more than £300,000 in National Insurance contributions. 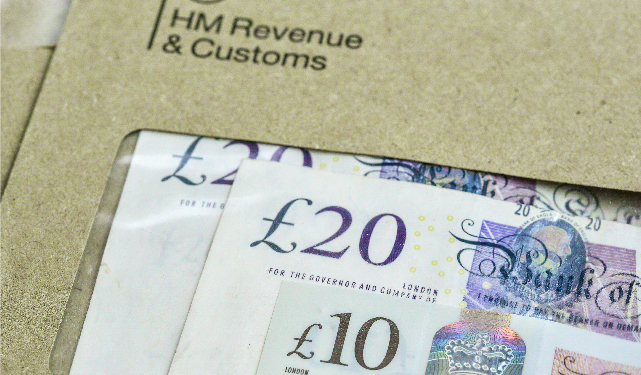 HMRC said that it was “disappointed” with the tax tribunal ruling and would carefully consider the outcome before deciding whether to appeal. Alongside supervision and direction, control is one of the major tests for ‘employment’ that’s used in IR35 judgements. When related to IR35, control is about someone dictating what work you do and how you go about it. In Lorraine Kelly’s case, her contract was judged to be outside of IR35 because she had more control over the way she performed, interviewed guests and reviewed films. The direction test can push a contract inside IR35 if the client directs how an assignment is completed by providing instructions or guidance. Supervision relates to how a client oversees work. To stay outside of IR35, limited company contractors need to review contracts and working practices before signing to make sure it doesn’t meet some of the criteria laid out in these tests. In another IR35 case involving the BBC Look North presenter Christa Ackroyd, the tax authority was successful. In that case, a tribunal found that the BBC had more control over the star. Even though Ackroyd operated through a personal service company, the tribunal judge rules that she effectively had a full-time job with the broadcaster. HMRC is pursuing IR35 cases against other freelancers in the media, including more than 100 freelancers that work at the BBC. Earlier this year, BBC director general Tony Hall apologised to affected presenters after claims that some had been given no choice about changes to the way they were employed. IR35 legislation can affect any contractor operating through a personal service company. One way of avoiding IR35 legislation is to work through an umbrella company. For more help and advice on IR35, speak to a member of the Umbrella.co.uk team today. Call: 0800 121 6513.